If you are looking for low mortgage rates today contact us at 919-869-8200. Have questions about these results? Contact Us Answers and Help are always free! Click FHA Mortgage Limits to determine the max purchase price in your county. 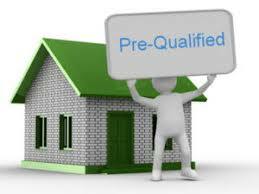 Visit USDA Loan Property Eligibility to determine if a property is eligible. Visit USDA Loan Income Limits to determine if your income is eligible. Only available as 30 year term. 30 Year Fixed Rate – This mortgage has a fixed principal and interest payment. This is a good choice if you plan to stay in your home for seven years or longer. If you plan to move within seven years, the adjustable-rate loans are a great option to consider. For calculator purposes, if you want an adjustable-rate, choose 30 year fixed. 15 Year Fixed Rate – This mortgage has a fixed principal and interest payment. It offers a rate that is about ½ of a percent less than a 30 year fixed rate – and you’ll own the home twice as fast. This is a great option if you are comfortable with the higher payments. Not available for USDA Mortgages.